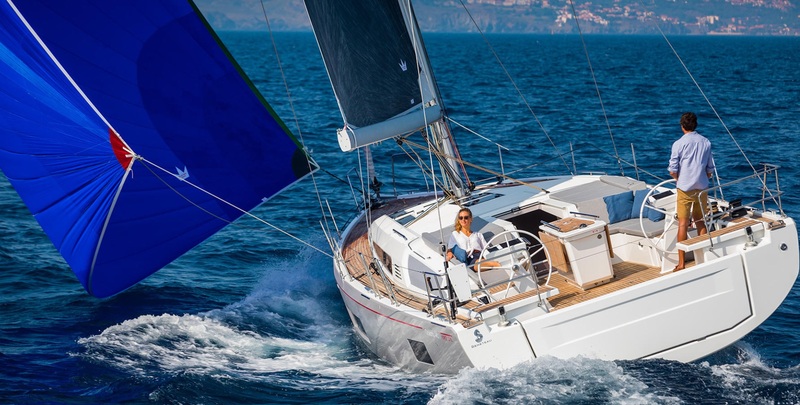 At the recently held boot Düsseldorf, the famous German shipyard Bavaria Yachts won the title of the 2015 European Yacht of the Year in the Family Cruiser category for its Bavaria Cruiser 46. 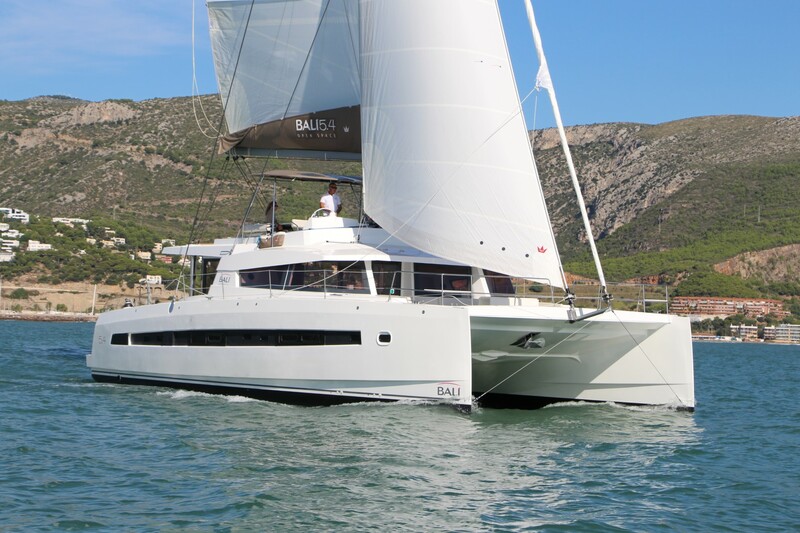 The Bavaria Cruiser 46 was chosen as the best in this category because of its improved technical and conceptual aspects. Thanks to its impressive dimensions, the yacht can be equipped with up to four cabins, where eight people can comfortably be accommodated. The spacious saloon and galley provide a lot of comforts, while the interior abounds with natural light thanks to the large coachroof windows, which have been proven as a success with the popular Cruiser 37, 41 and 56 models. The smooth deck and low superstructure design emphasize the fresh, modern and elegant appearance, and make staying on board safe and stress-free. The cockpit is designed to provide comfort, a sense of spaciousness and safety, which is why the generous ergonomically arranged bench seats, a folding cockpit table and twin steering wheels have been installed there. The transom is easily transformed into a large sunbathing and swimming area when lowered. This solution has become very popular on recent Bavaria sailing yachts, but regardless of the high standards of safety, jumping and playing on the transom has to be done cautiously. In other words, adults should not jump from the platform, and it cannot receive more than three persons, even when they are lying motionless. Length overall of Bavaria Cruiser 46 is 14.27 m, the beam is 4.35 m while the draught can vary between 1.73 m (optional) and 2.10 (standard). The yacht is powered by wind on the total sailing surface of 208 m², divided between the full-batten mainsail and the standard foresail. The Volvo-Penta D2-55 engine with the Saildrive has 55 HP, and diesel is stored in a 210 l capacity tank. The water tank has the capacity of 360 l, which is not particularly generous if there are a lot of guests on the yacht. Both as a floating home made for family holidays and as a yacht for long-legged cruises, the Bavaria Cruiser 46 is of great value in boating. The comfort, that has been so typical for Bavaria yachts, has been brought to an even higher level with this model. 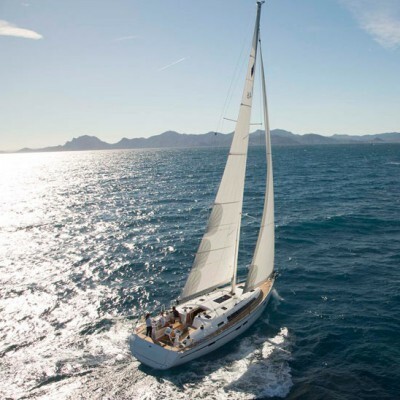 The sailing performance, so often criticized with other models, has been enhanced to the maximum on the Cruiser 46. There is no doubt that the jury in Düsseldorf did a good job with choosing this yacht as the yacht of the year, and the popularity of the model among charterers and private owners proves that this is a model that is worth sailing with.